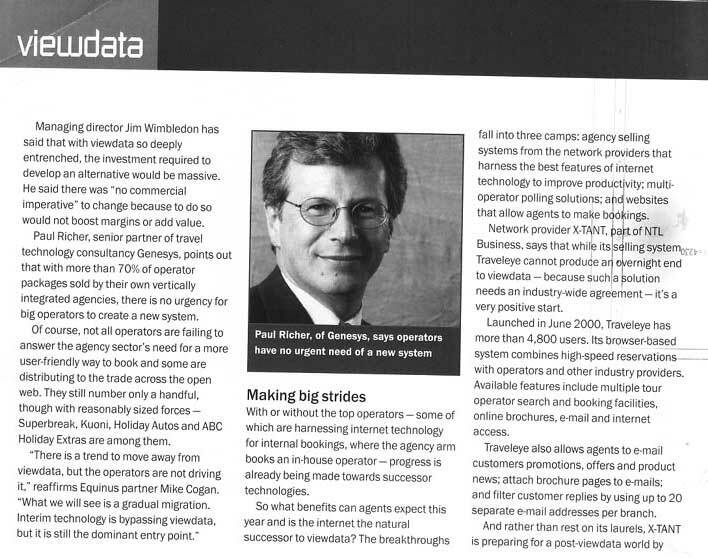 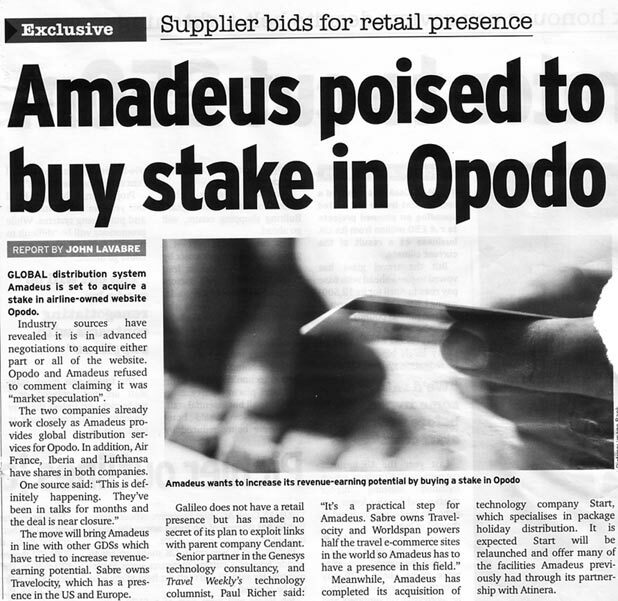 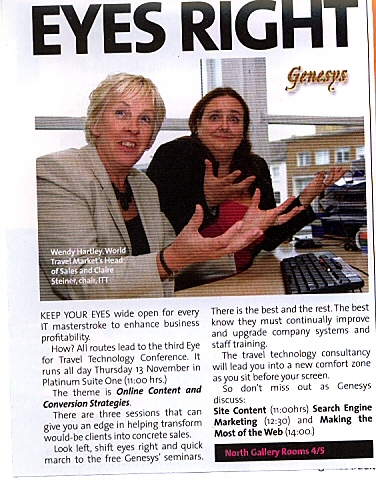 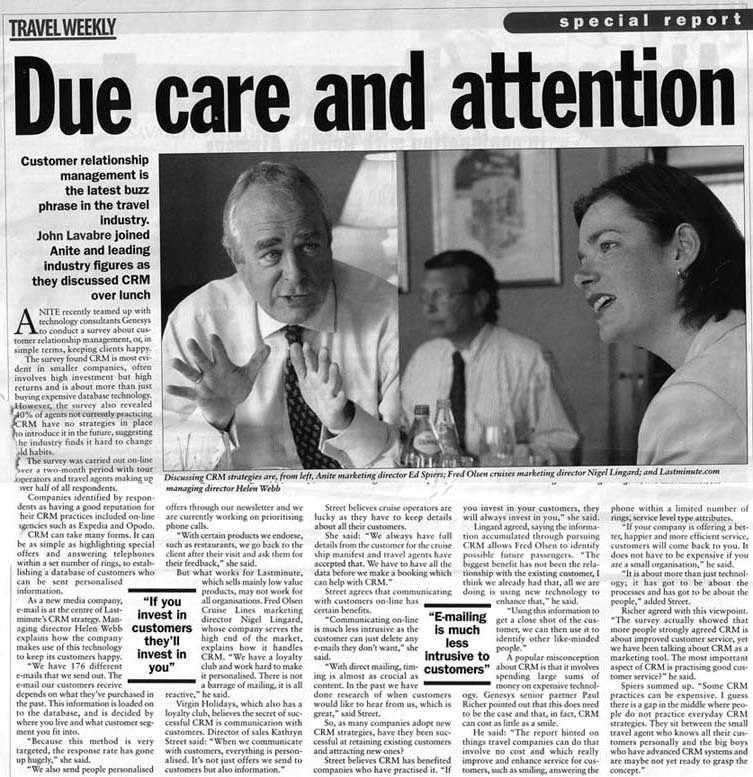 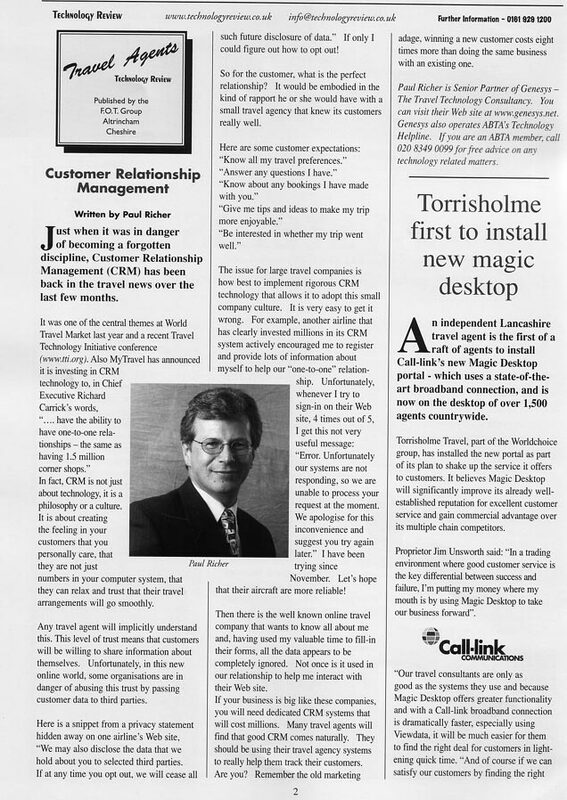 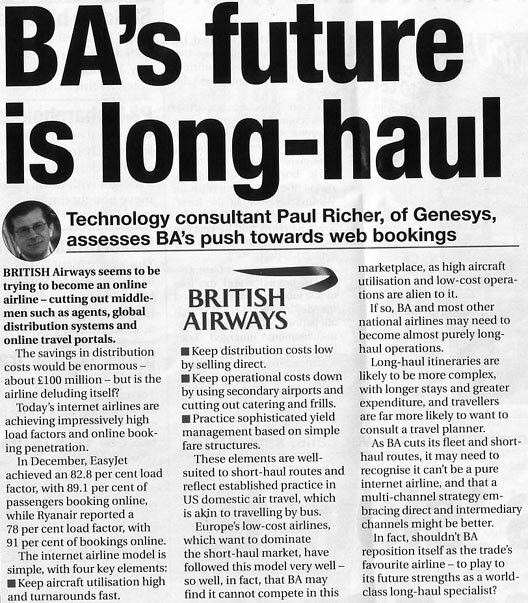 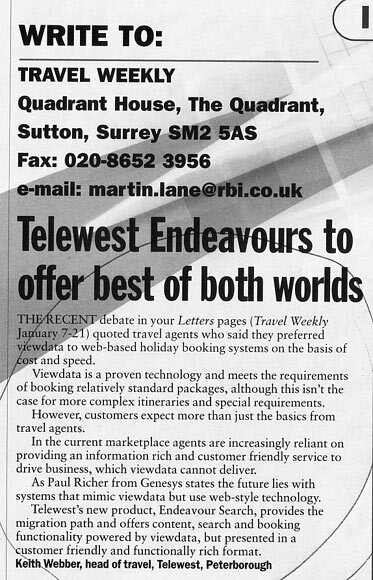 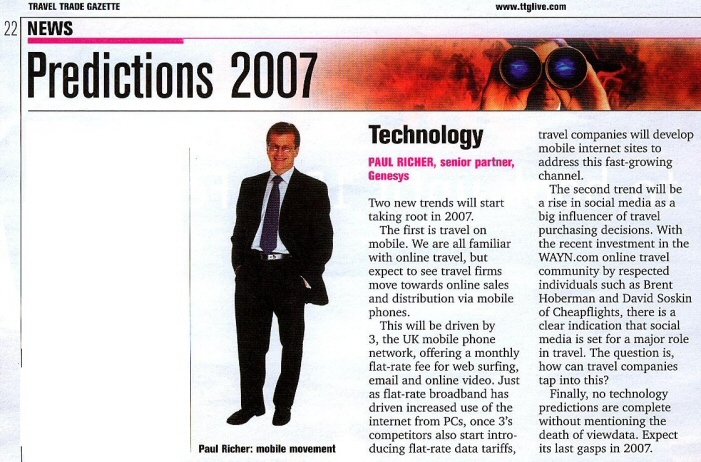 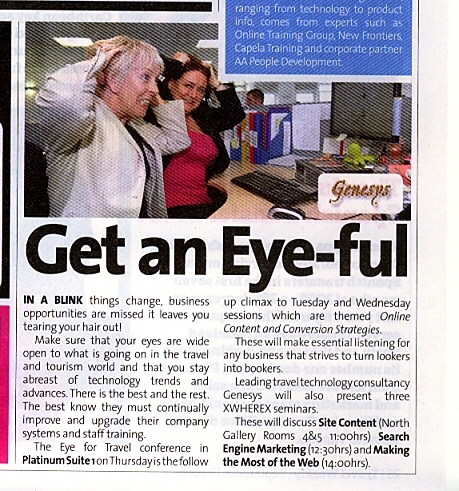 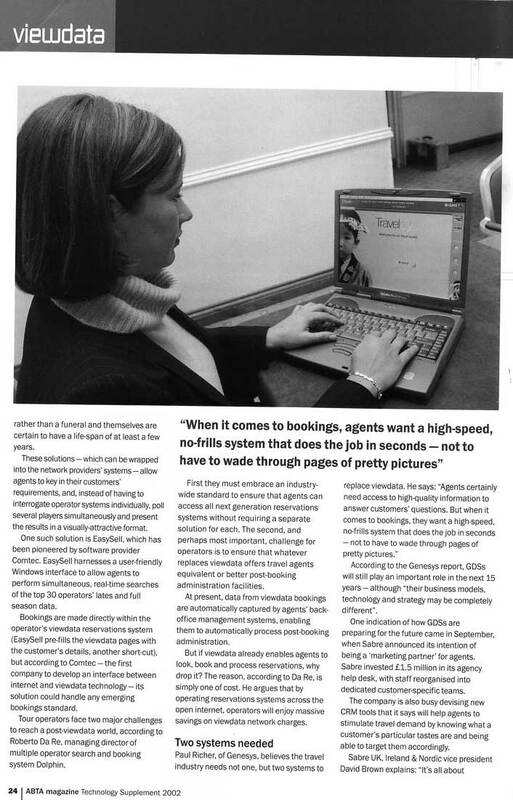 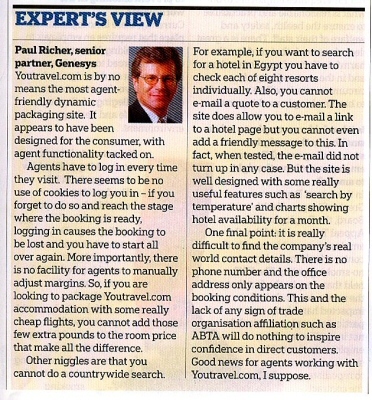 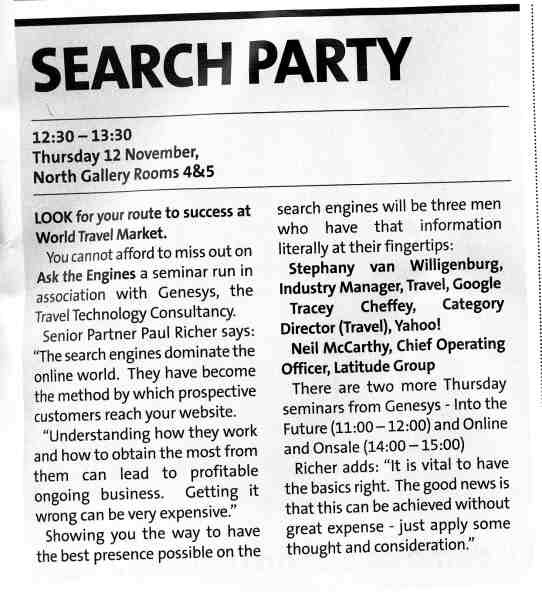 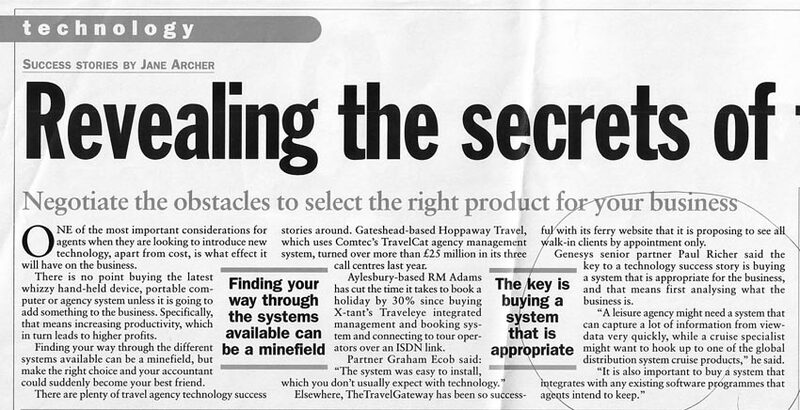 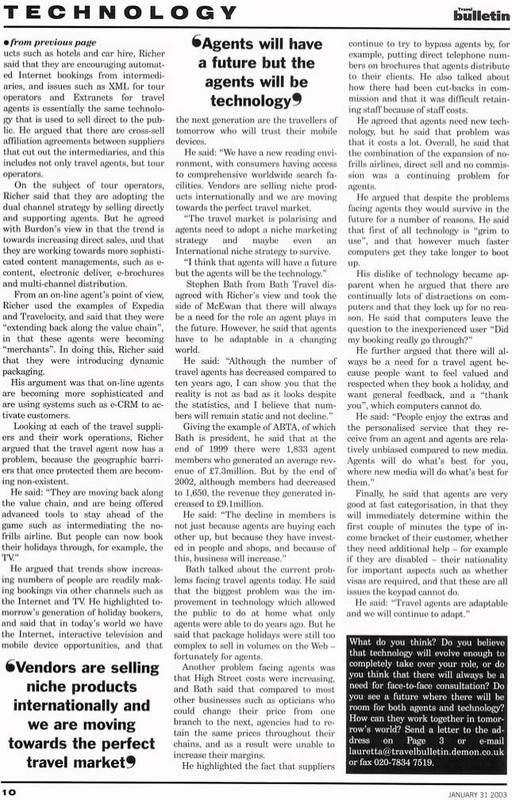 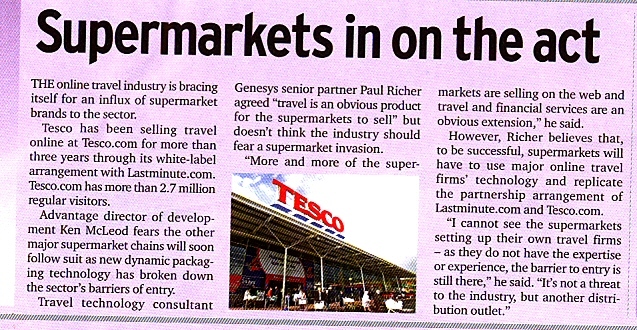 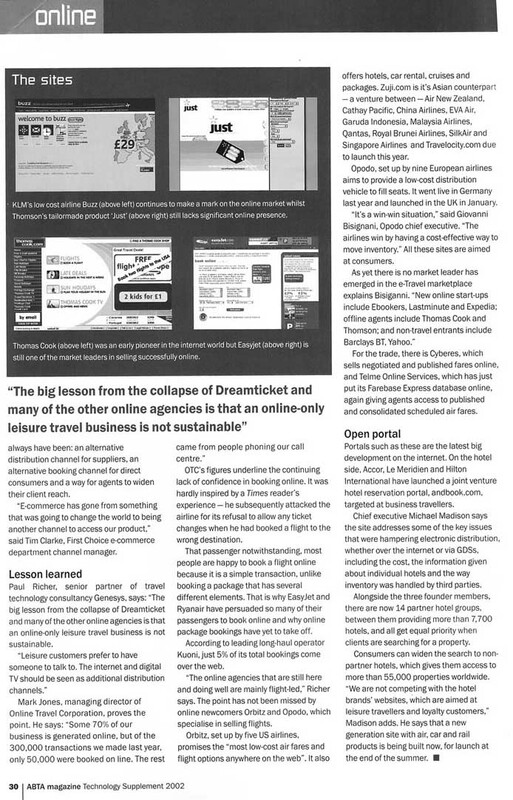 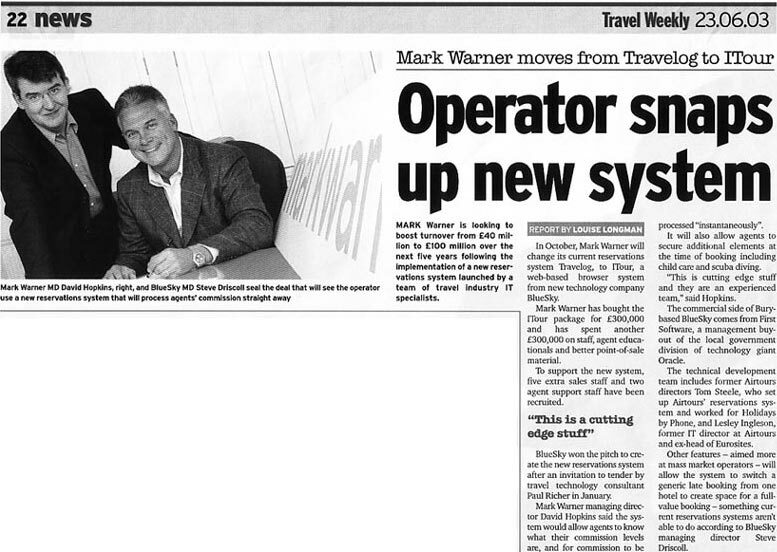 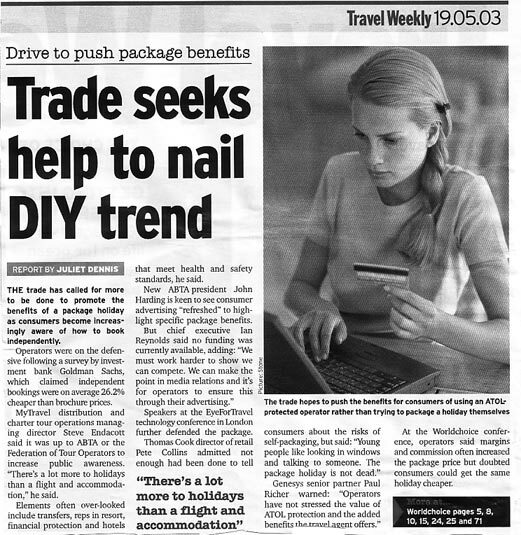 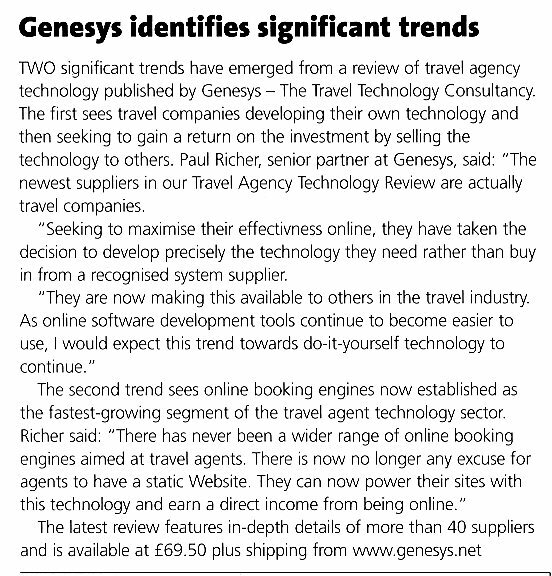 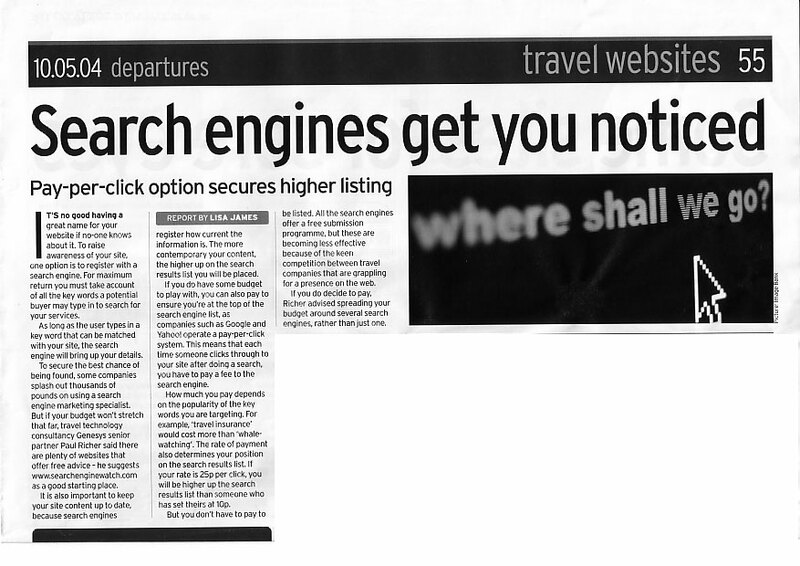 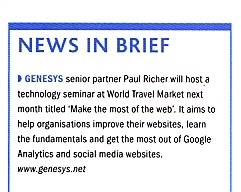 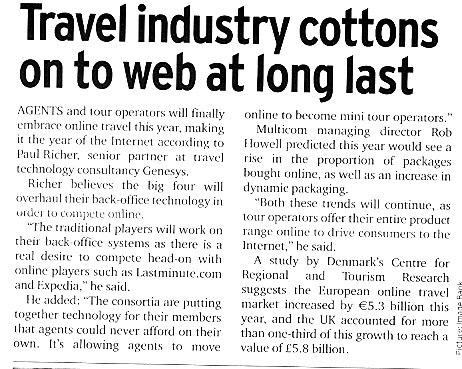 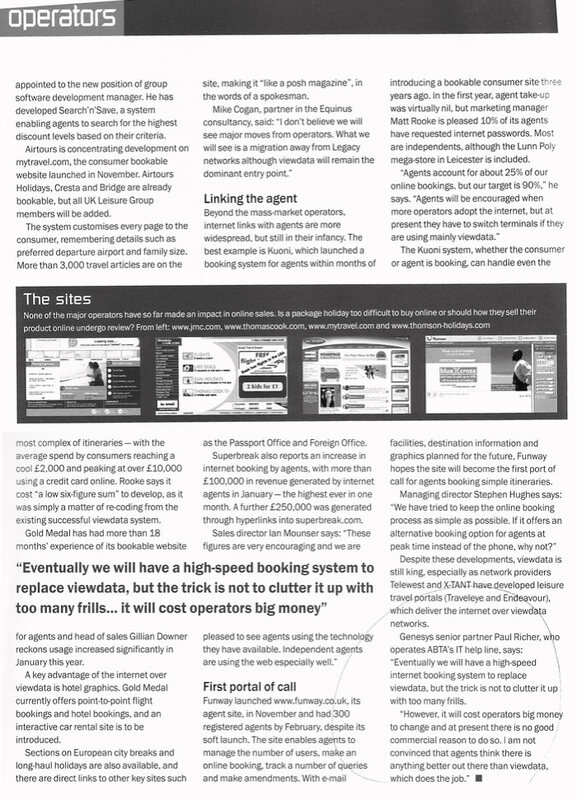 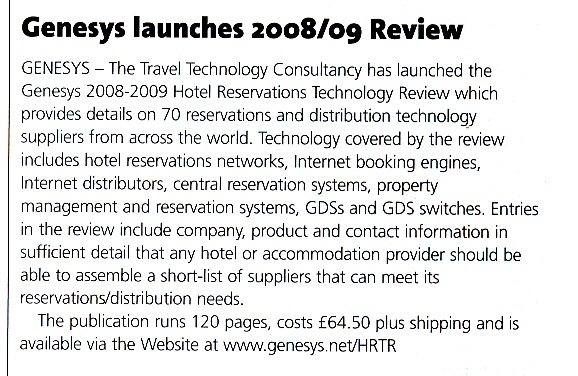 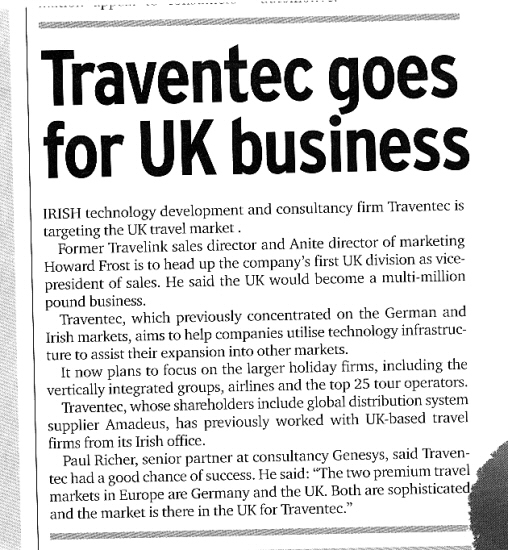 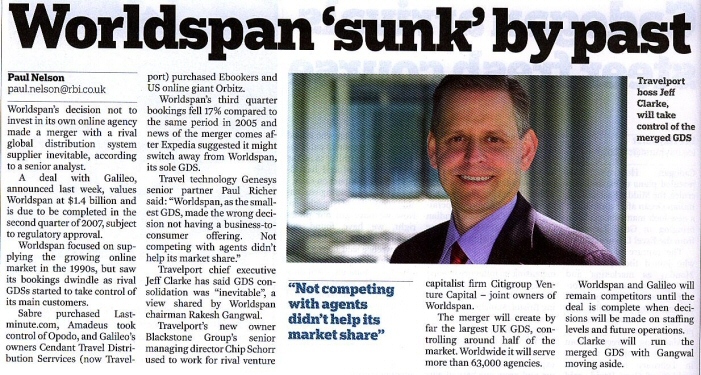 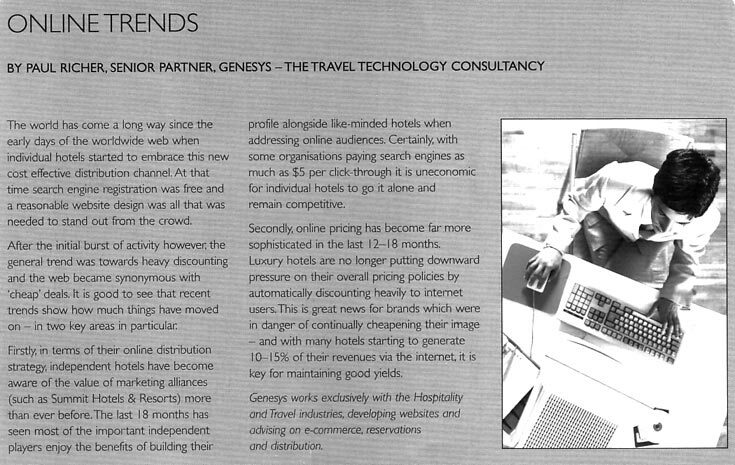 As Genesys keeps abreast of travel technology trends, we are often invited to comment in the press. 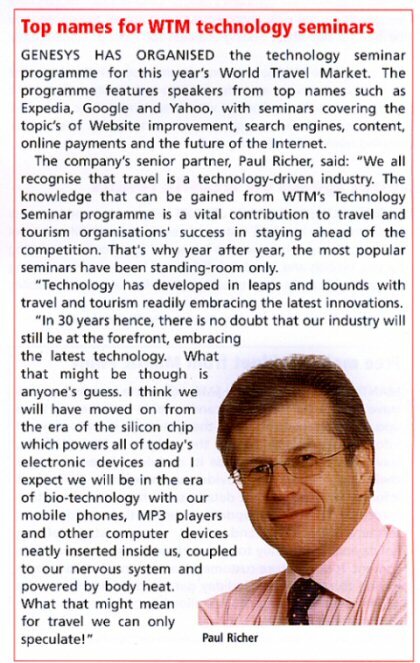 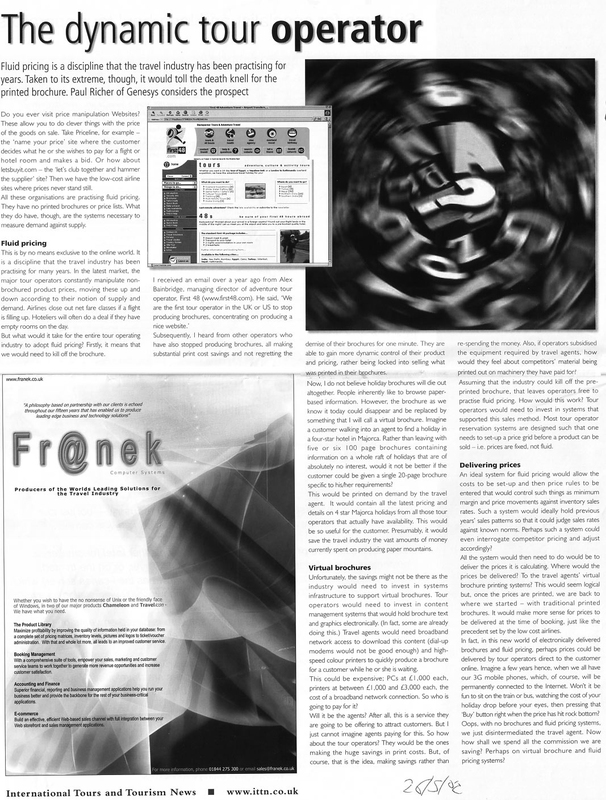 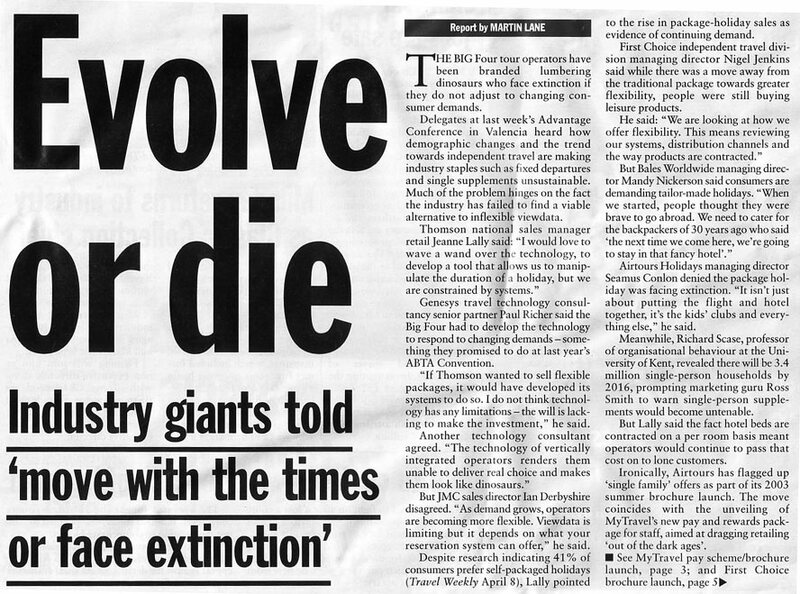 Below are links to articles where we have been quoted. 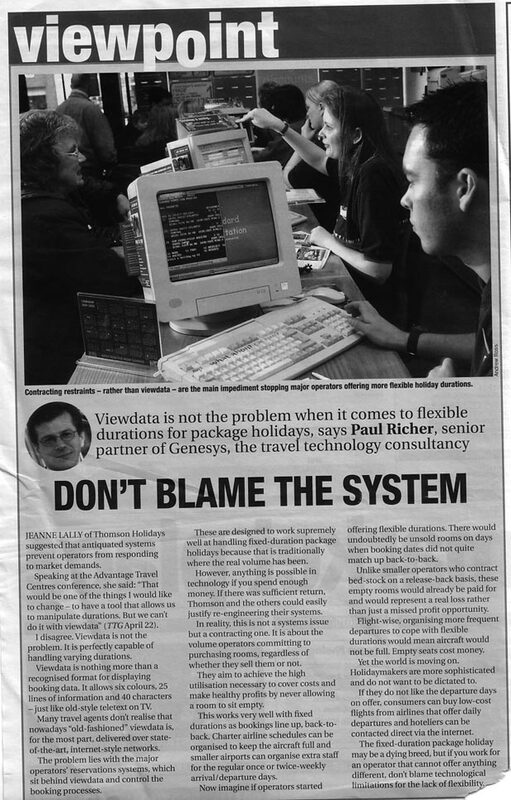 Data, data everywhere but beware how you use it! 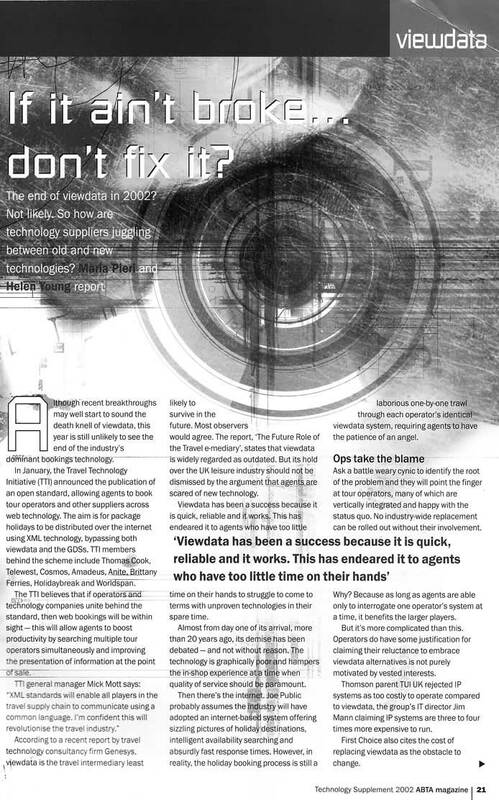 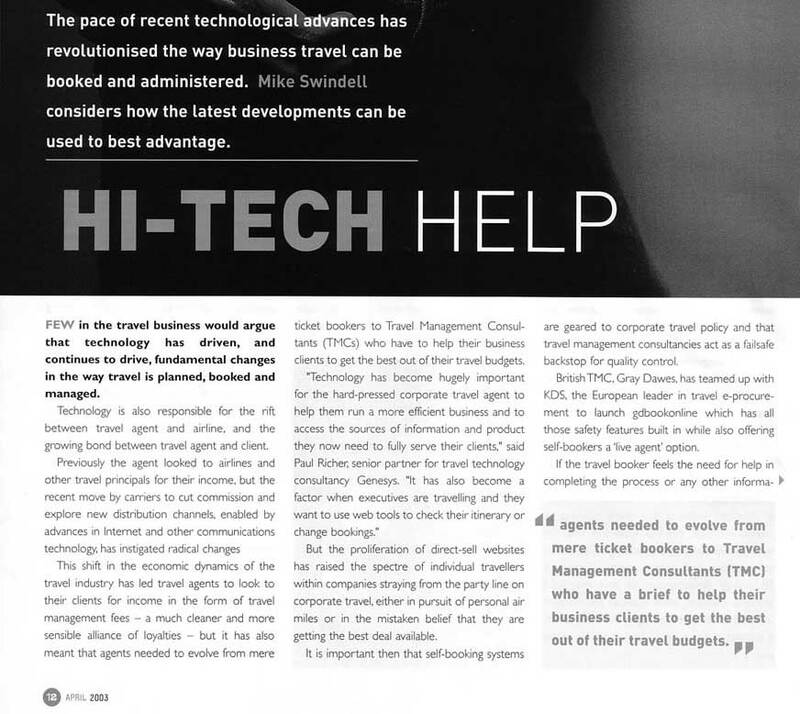 Travel Technology: Minefield or Goldmine? 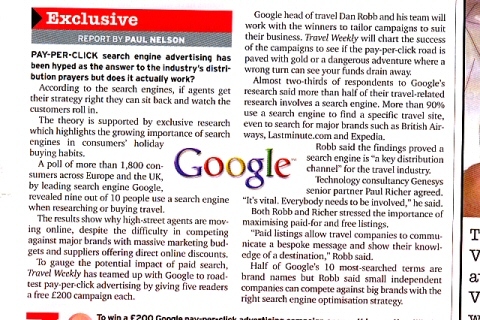 Might Google benefit the most from IATA’s NDC? 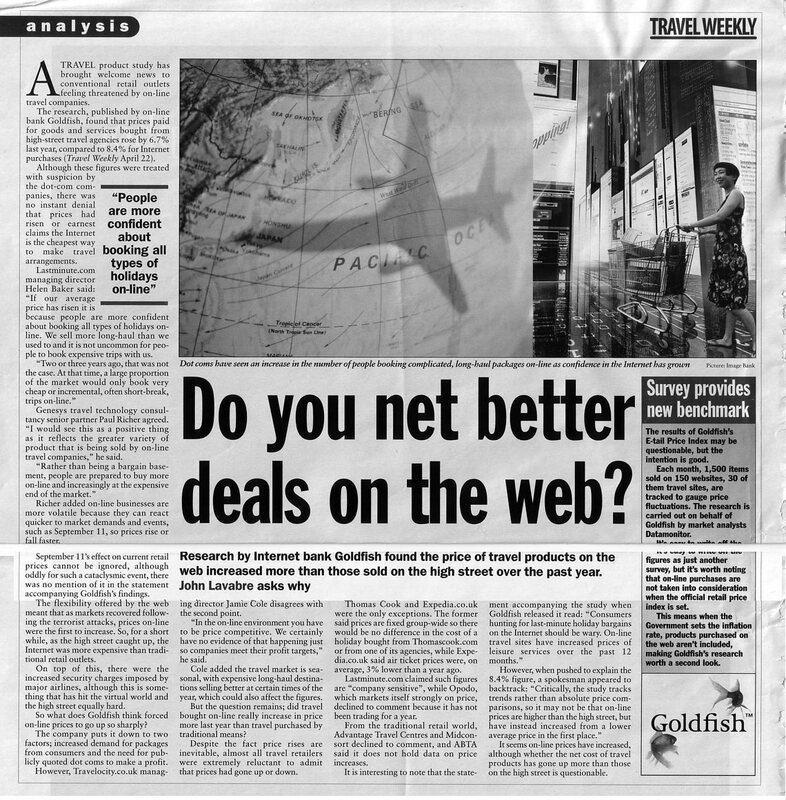 Should UK trade be worried by Google's Flight Search? 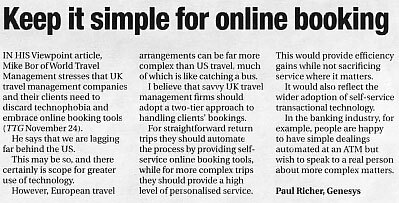 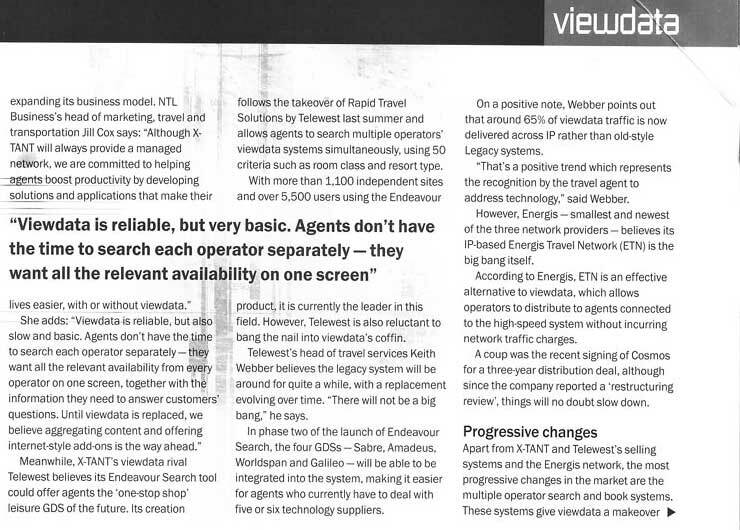 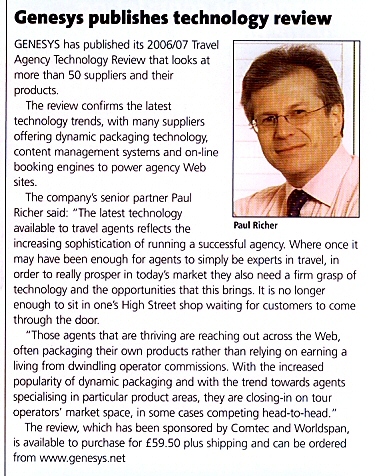 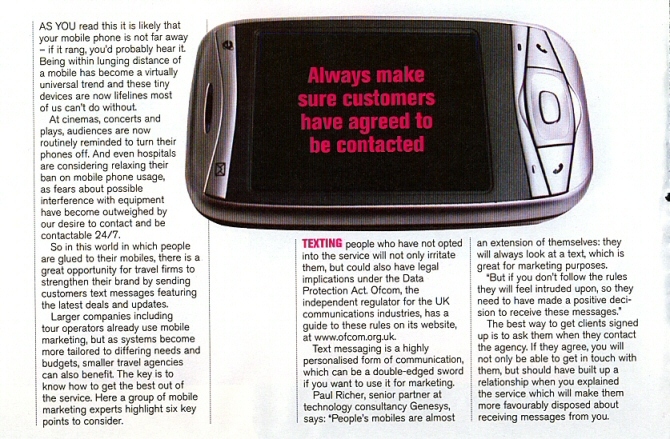 Electronic Travel Distribution - Where Next? 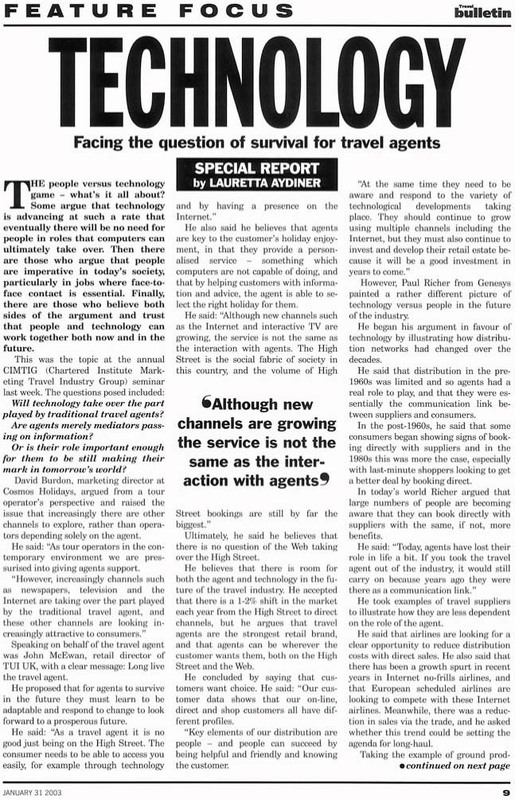 IDTV - The Second Coming? 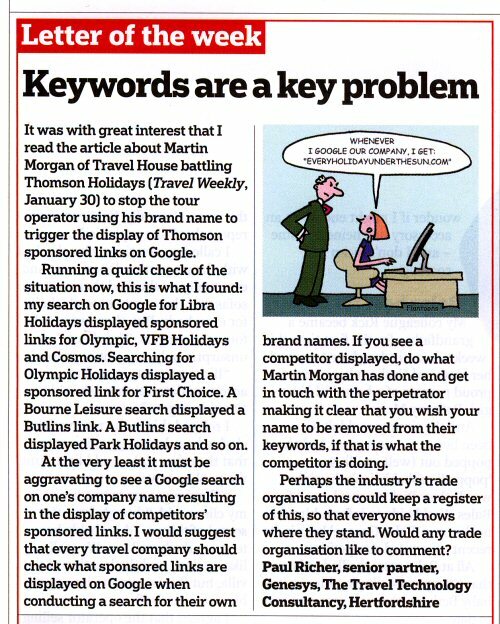 What type of content is king? 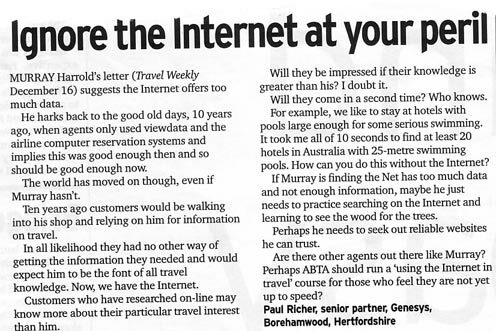 TravelMole Guest Comment: Are you ignoring social media? 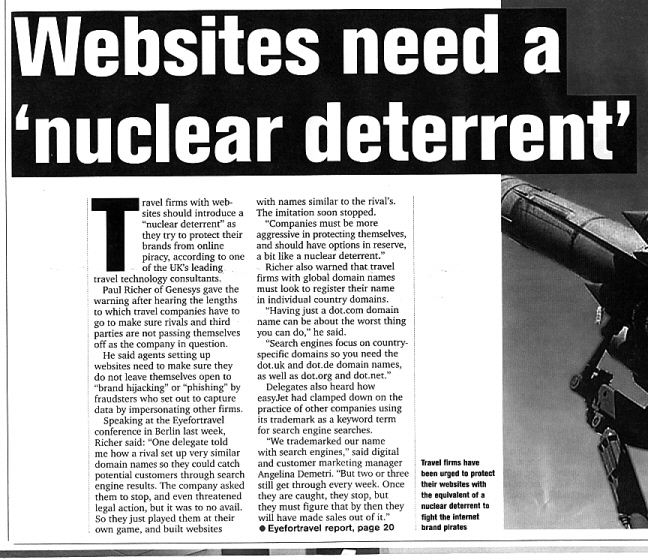 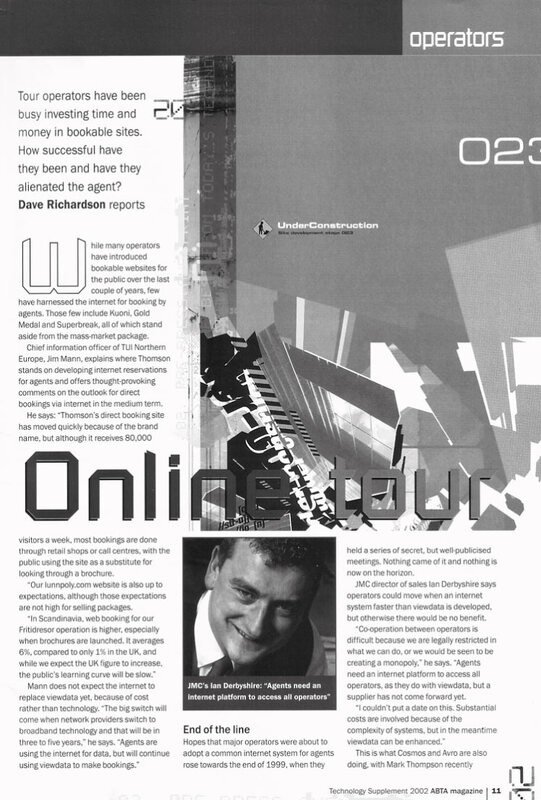 Websites need a "nuclear deterrent"
Action stations, where do we go? 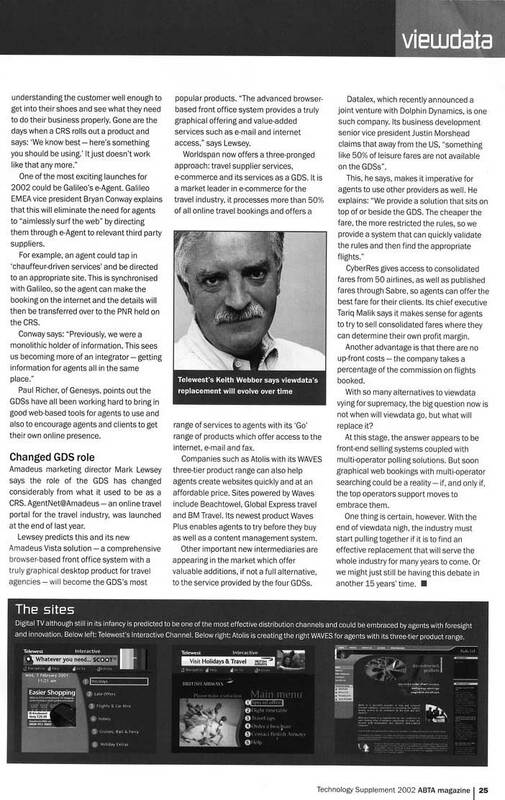 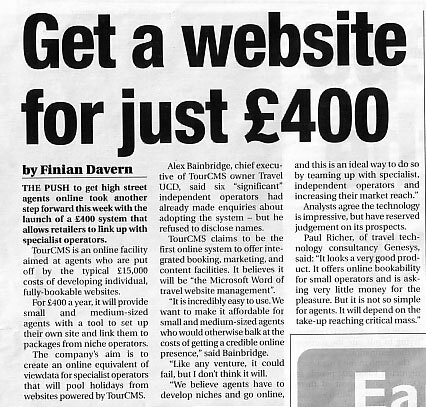 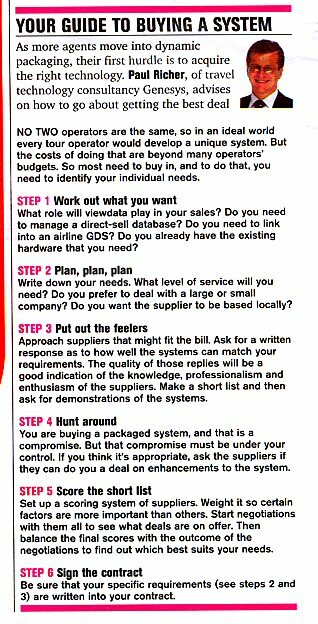 No-frills airlines to get cut price GDS access? 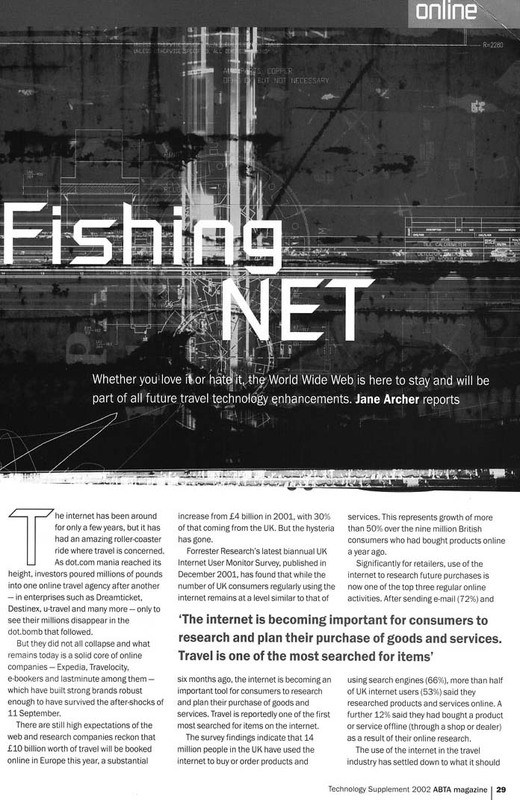 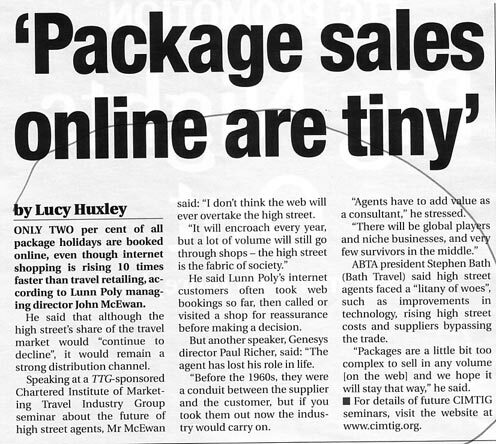 "Package sales online are tiny"
Do you net better deals on the web?